If you’ve worked in an office in the last decade, there’s a good chance you’ve worked in an open concept office. In fact, almost 70% of all offices, according to an article by the New Yorker, are now running some sort of open office plan. In theory, it sounds great—a move against traditional hierarchical structures and working from your lonely box cubicle, with a symbolic sense of organization—but you’ve probably been noticing that your open concept office might not be working for you and your employees. So, how can you make the most of your space, and ensure everyone is working cohesively and happily? The Open Office Concept — Is It Worth It? A study by the Exeter University showed a 32% drop in “worker’s well-being” and a 15% drop in productivity for the common open office worker. An Ipsos survey by Canada Life Group Insurance found that only 6.5% of those surveyed thought an open-office was productive. 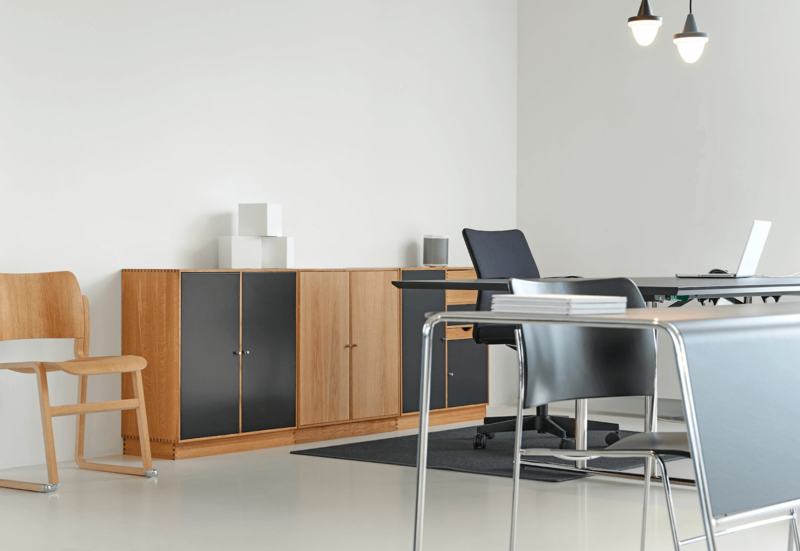 A study by furniture company Steelcase on 10,500 workers from all over the globe found that privacy in the workplace is an issue everywhere. Of those surveyed 95% said working privately was important to them, but only 41% said they could do so, and 31% had to leave the office to get work completed. In that same study by Steelcase, they also found that employees lose, on average, 86 minutes a day due to distractions. 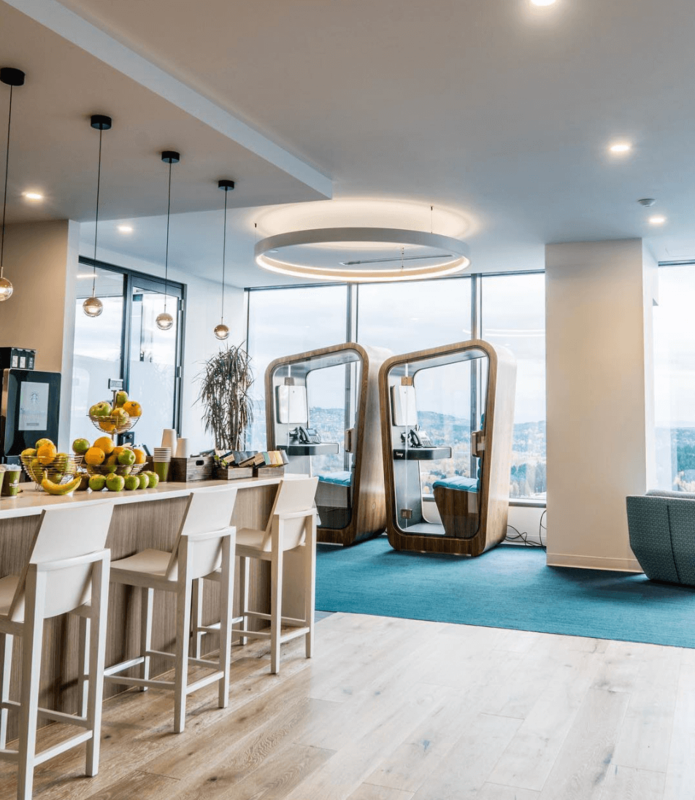 Insight Matters corporate psychologist Stephanie Thompson said it was particularly challenging to focus on complex tasks while in an open-plan environment. For a cost comparison of the productivity tax, the lost time, the health hazards, the employee morale pitted against the savings that you receive from a more efficient use of space, click here. The long-short of it is that open offices are not cost effective when you run the numbers. Okay, open offices aren’t great… but I’ve invested money into one. What can I do? Don’t panic just yet. Just because open concept offices generally come with a handful of different problems, it doesn’t mean that you can’t make yours work for you. Put your moving plans on hold. We’ve got you covered. Recognize, as a team, that open offices can and will affect the productivity of your team. Come up with inner-office strategies to combat this. For example, whenever someone has their headphones in, they could be said to be “jacked in” with an invisible “do not disturb” sign on them. You can even step it up a notch with noise-cancelling headphones to get you zoned in on the tasks at hand. You could implement “do not disturb” work times, where no one talks. You could use applications like Slack to encourage quiet teamwork. Be mindful of others in the office, and turn off loud notifications that might be coming from your desktop or phone. Plug your headphones into your computer, turn the volume down on your phone, and change your email settings.The average office worker gets interrupted every three minutes. The less sound interruptions, the better. The problem with open office spaces, and the reason things can get so noisy, is in the name itself – open space. There are no walls to dampen sound. Fill the empty spaces with sound-friendly furniture. This can help reduce the loudness of sound, as well as stop it from travelling too far. Just because you can’t have walls, it doesn’t mean you can’t have acoustic wall panels. These are proven to help absorb sound – and they can be stylish looking, too. A win-win situation. When work becomes overwhelming, the last thing an employee wants is the constant distraction of other employees. A simple phone call becomes difficult Spaces for meetings, private conversations, or to simply work alone, undisturbed, are vital. Loop Phone Booths provide privacy where you need it. The Loop Phone Booth was specifically designed to accomodate the need for privacy in the open concept workspace. They allow for workers to take a private phone call, FaceTime a client, or work alone without having to find a private area away from productive ears. You can find the Loop Phone Booths at Shopify, Pokemon, Scality, L’Occitane, Button, Dataminr, Businesslink, and The Pad. Next up? Your office space.